Díky bezplatné aplikaci SingStar® budeš mít kdykoliv po ruce mikrofon pro případ, že si zatoužíš zazpívat. Aplikace ti ale také umožní namíchat si vlastní seznam skladeb a naskládat si do něj všechny nejnovější hity. Zasměj se s kamarády svým výstupům a improvizovaným zpívánkám se SingStar® a pak se svými nejlepšími vystoupeními (a samozřejmě také nejvtipnějšími selháními) pochlub na Facebooku a Twitteru. Všechny velké hity na jediném místě se SingStar®: Ultimate Party na PS4™ a PS3™. Hromady dalších písniček čekají, až si je stáhneš ze SingStore®; od popu přes rock až k hip-hopu. Nechybí ani celá spousta dalších žánrů. Vybírat můžeš z interpretů, jako jsou Rihanna, Passenger, Bon Jovi, One Direction a ABBA. Zjisti vše, co o aplikaci SingStar potřebuješ vědět. We’re all super excited about the launch of SingStar Celebration next week, and can’t wait to get the party season started! In the run up to the launch, we’ve unearthed some fun facts about SingStar, including our favourite community submissions! 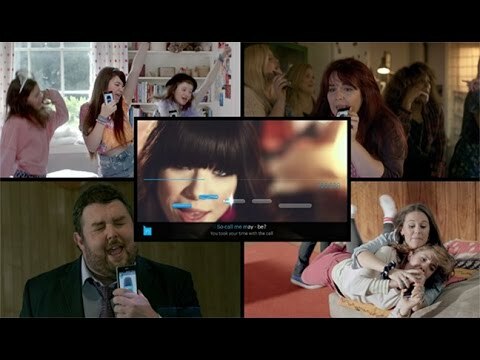 Did you know, over 115 different SingStar titles have been released since its first launch […] The post 6 things you need to know about SingStar ahead of SingStar Celebration’s release next week appeared first on PlayStation.Blog.Europe. SingStar is back and everyone’s invited to the party this month! That’s right, SingStar Celebration starts its PlayLink tour on 25th October*, and today we’re thrilled to announce a mix of party classics and brand new must-sing tracks from 30 of the biggest artists around that’ll be joining the party. So whether you want to […] The post SingStar Celebration releases 22nd November on PS4, track list announced appeared first on PlayStation.Blog.Europe. Hi everyone. It’s time for the latest SingStore update! We’ve got some pop classics, ’00s indie folk, three song packs and more for you today! On top of the new songs, we’ve also discounted 50 tracks for you as part of our Easter sale. Check out the full list of new songs, song packs and […] The post SingStar gets new songs this week, plus discounts on existing tracks appeared first on PlayStation.Blog.Europe. Hello! I’m delighted to be able to share some news with you about the latest updates to SingStar, which are now available through our most recent patch! Firstly though, we want to acknowledge that we’ve had some problems over the last year that have delayed our ambitions for the title, but we’re pleased to say […] The post SingStar gets new modes, tracks and a visual makeover appeared first on PlayStation.Blog.Europe.